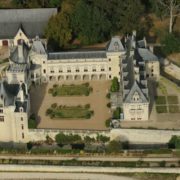 Located between the departments of Maine-et-Loire and Indre-et-Loire, in the heart of the Loire-Anjou-Touraine regional park, the Domaine de la Brèche in Varennes-sur-Loire is an ideal base to visit the Loire valley. Our 5-star outdoor hotel welcomes you in a fabulous natural setting and a friendly atmosphere for an exceptional holiday for couples, family or friends in the Pays de la Loire. 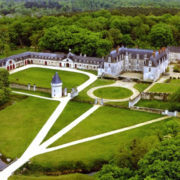 From our luxury camping in Loire Valley which has fully equipped luxury accommodation (mobile homes, cottages, residences, cabins, Gypsy caravans) and spacious pitches for tents, caravans and motorhomes, a short drive will allow you to discover the famous Loire castles and other hidden treasures of the Loire Valley. 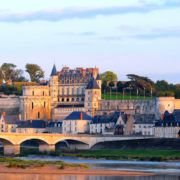 Saumur, city of the famous Cadre Noir, also awaits you close to our campsite with heated pool in Loire valley, dominated by its fairytale castle perched on the hill and watching the city with white stone and slate roofs . 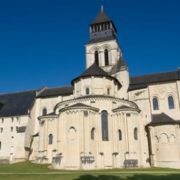 Discover this region of Anjou Loire Valley where the wine is sparkling, the light is soft and the architecture is varied: castles, abbeys, but also cellars, mills, small villages of winegrowers and sailors, cities with names steeped in history. 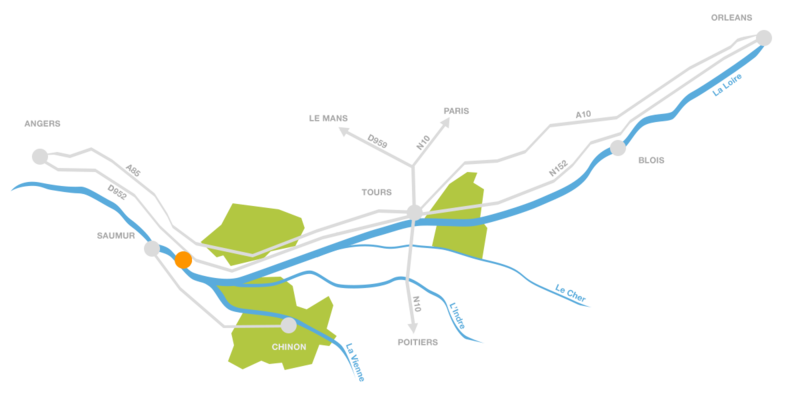 The Val de Loire is a natural region that occupies part of the Loire Valley and four departments: Maine-et-Loire, Indre-et-Loire, Loir-et-Cher and Loiret. 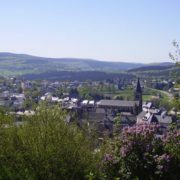 This portion of territory is home to an extraordinary cultural heritage, mainly hundreds of castles built for most of them during the Renaissance along the Loire or one of its tributaries. Our campsite is located between Tours and Angers, very close to Saumur and the elite riders of the prestigious Cadre Noir, the Mecca of French riding. Every year the Val de Loire attracts millions of visitors from all over the world to visit the castles and troglodyte villages, cross the vineyards on foot, on horseback or by bike, taste the wine of the Saumur and admire the beautiful landscapes shaped by man and nature along the longest river in France. 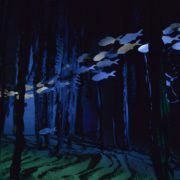 Part of the territory of the Loire Valley is classified Natura 2000 and UNESCO World Heritage, reflecting the interest and exceptionality of the natural and architectural heritage of this unique area that spans two administrative regions: the Countries of the Loire and the Center-Val de Loire. 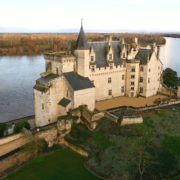 After some swimming in the Domaine de la Brèche water area in Varennes-sur-Loire or a bike ride in the vineyards of Anjou, you can visit the main monuments of Indre-et-Loire such as its castles of Tours, Amboise, Chinon, Ussé, Villandry, Langeais, Gizeux, Chenonceau, Loches, Azay-le-Rideau and Champchevrier. 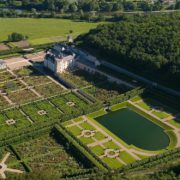 In couple, with your children or your friends, you will be fascinated by the balance of proportions, the symmetry and the French gardens that characterize the castles of the Renaissance. 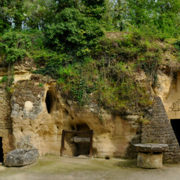 If you are looking for original ideas of activities for the whole family in Indre-et-Loire, consider registering the amazing troglodyte valley of Goupillières, the Petrifying Caves of Savonnières, the garden of the Prébendes d’Oé of Tours and the mini park of Amboise castle designed for children in your program of visits during your stay in the Loire Valley. 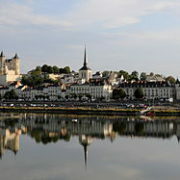 The department of Maine-et-Loire also has sumptuous castles (Saumur, Montreuil-Bellay, Angers, Breze, Montsoreau, Brissac, Serrant, Tiffauges), interesting museums (Jean-Lurcat museum and contemporary tapestry, museum of the Trélazé slate, museum of natural sciences of Angers, museum of art and history of Cholet, Saumur armored museum) and many parks and gardens where you can relax for a few hours: park de Pignerolles, Jardin des Plantes d’Angers, Terra Botanica, Doué-la-Fontaine biopark … The superb Fontevraud abbey in Anjou, founded in 1101, is also one of the must-see sites for holidays at the 5-star campsite Domaine de the breach. With its many rivers and varied landscapes, the Loire Valley is a great playground for sportsmen. From canoeing and kayaking to a solo fishing trip, the Loire is ideal for various water activities. The lake of the island of Millocheau near Saumur has a beautiful beach and a water sports center equipped with facilities for people with reduced mobility that offers activities for the whole family such as stand up paddle, sailing and swimming lessons. 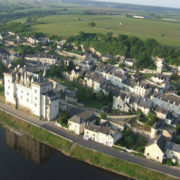 In Saumur, you can also perfect your swing on the golf course, make beautiful equestrian walks in the Cadre Noir or a night ride Segway, jump in parachute and go from tree to tree in the tree climbing park Saumur Forest Adventures. 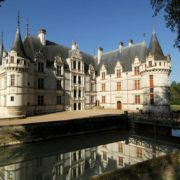 Would you like to live a unique experience during your camping holiday in the Loire Valley? 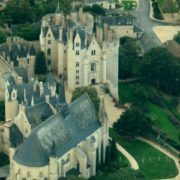 Fly in a hot air balloon above Amboise Castle, one of the most beautiful castles of the Loire, and embark aboard an atypical boat in Montrichard for a mini-cruise. If you are traveling with kids, Les Anes de Balaam in Chambourg-sur-Indre will allow your children to walk around on a donkey and to become familiar with these docile and affectionate animals in complete safety. The Loire Valley is also home to many hiking and equestrian trails, as well as mountain bike trails for all levels. 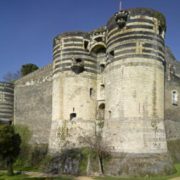 Castles of Angers: A true medieval fortress with 17 towers. The Château de Montreuil-Bellay and its 13 towers and its 650 meters of ramparts. Château de Brézé: A still inhabited castle with basements unique in their genre. Château de Montsoreau is at the confluence of Vienne and Loire. 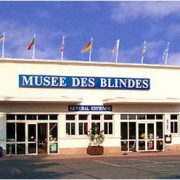 It became a museum of contemporary art in 2016. 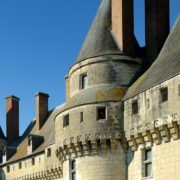 The Château de Gizeux, one of the biggest castles of the Loire. Castle Villandry, known for its many gardens on three different levels. 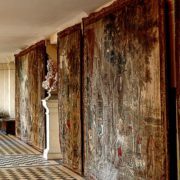 Château d’Ambroise: This castle has seen artists such as Leonardo da Vinci. The armored museum will take you back 80 years to discover the most beautiful armored vehicles in history. 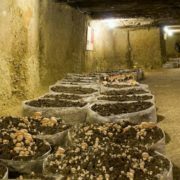 Mushroom Museum, or how to learn about growing wild mushrooms. Rochemenier Troglodyte Village, a journey through the ages to make you travel the time of a visit. 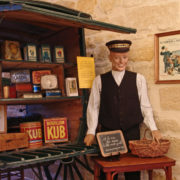 The museum with old shops will make you discover not far from twenty shops from 1900 to 1950. 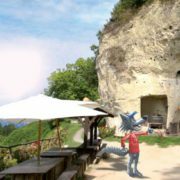 The Mystery of the Faluns: discover through a scenographic walk a very particular troglodyte site. Champignonnière The Wolfslide: traced through a visit the techniques of culture from prehistory to today mushrooms. 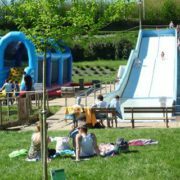 Park ETANG, a recreational course for all, children to adults. Cadre Noir of Saumur. 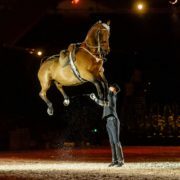 If you are a horse riding fan, you must visit this place., The school of excellence of riding in the French. 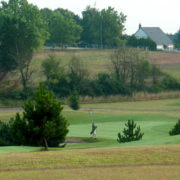 Golf de Saumur, a 9-hole golf course that will delight both beginners and experts 6 kilometers from Saumur. 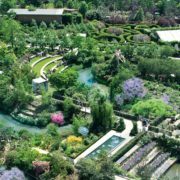 Terrabotanica, discover or rediscover plants among the 275 000 present in this plant park in the heart of Angers. 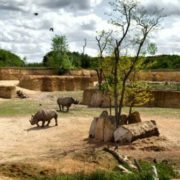 BioPArc de Doué: walk the paths of the bioparks to discover species coming from a threatened wilderness. 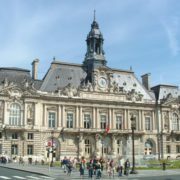 The parks of Tours re-energize in the numerous parks that count the city.